Verizon is bringing a nice bit of consistency to its tablet offerings today by introducing a new two-year deal on the Samsung Galaxy Tab. 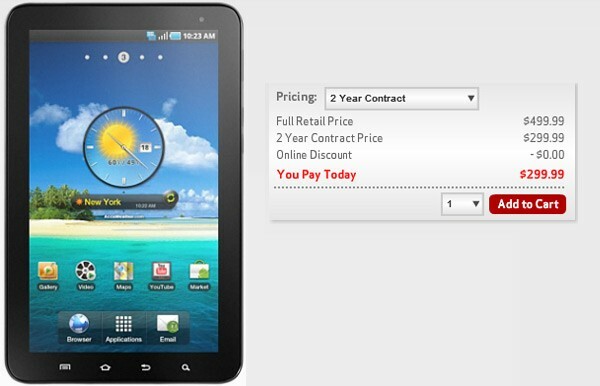 The 7-inch tablet was previously available only on an unsubsidized basis, however now that the Motorola Xoom has become purchasable with a $200 subsidy in exchange for a 24-month commitment, Verizon is extending the same courtesy to potential Tab buyers as well. That means you now have a choice between the $500 strings-free Galaxy Tab or a $300 version that binds you to Verizon for a good little while.